Dog Day, sponsored by Pfizer Animal Health and Royal Canin, hosts another fun day for you and your dog on 15 May 2011 to raise awareness for animal welfare. Come along and enjoy a leisurely stroll with SA’s favourite celeb couple, Jacqui and Jeremy Mansfield! 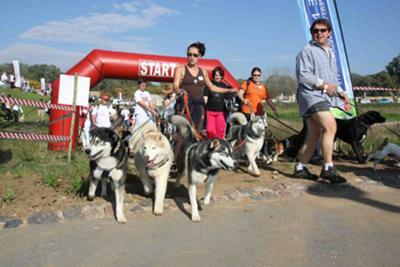 Take part in our 700m Puppy Parade, 4km or 8km fun walk for only R50 per walking adult and R50 per dog, register before 1 May. Great prizes up for grabs! Veterinary diet dog food - Buy dog food, cat food, small animal food you normally obtain from your vet. Buy prescription vet ranges today online from Vets Food World.